Remember when Kipchoge passed through the first 10km in 29:01 and everyone got excited because he was 30sec inside WR pace? That was actually the slowest 10km segment of his race. His last 10km (from 32.195 to 42.195km) was ~28:33. Kipchoge went out hard in the first 10K, sparking elation in viewers who knew he needed to average 29:10 per 10K to break Kimetto’s 2:02:57 world record. His first 10K split was 29:01, nine seconds ahead of WR pace. Then he got faster. And faster. That first 10K split would turn out to be his slowest of the race. One tweeter reported that Kipchoge ran the final 10K of the race in 28:33, and that only 11 Americans had run a faster 10K thus far this year. Kipchoge ran 2:01:39 but runs 9:40 per mile pace on his recovery days. Something to think about for those concerned in what their watch says. Sweat Elite, a U.S.-based coaching organization, has re-released an excerpt from Kipchoge’s training log in the weeks leading up to last year’s world record marathon attempt in Berlin. They warn recreational athletes against trying to adopt his regimen, without the decades of exceptional training and performance Kipchoge has delivered. 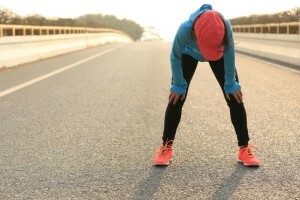 Apart from the sheer volume of mileage, one thing is notable–and reassuring: with double workouts seven days a week at altitude in Kenya and his weekly mileage (averaging about 150K per week towards the end of the build), some of Kipchoge’s recovery runs start at a pace the average mortal can actually relate to–i.e. six minutes per kilometre. Running a negative split is ideal. It takes incredible discipline to hold back in the first half of a race–not that Kipchoge could be said to be holding back, at the pace he was running, but the idea is to hold enough in reserve to get stronger and stronger throughout the race. This Kipchoge did in spades. According to Hutchinson, Kipchoge’s second half-marathon split is faster than all but four American half-marathon times. Journalist Alex Hutchinson has written an excellent analysis of Kipchoge’s race for Outside online, which you can read here. After crossing the tape, he didn’t stop. He kept running, straight into the arms of his coach, Patrick Sang. The guys at Citius Mag kindly set the footage to the strains of Celine Dion’s “My Heart Will Go On.” Bet you can’t watch it without tearing up. And finally, pundits are now betting on how long Kipchoge’s world record will last. Significantly, Hutchinson believes that even though he didn’t actually break 2, and subsequent chances to break the world record at Berlin in 2017 and this year in London failed, it played an indisputable role in Kipchoge’s ability to perform yesterday.